We now stand, in 2017-18, at a dynamic point of change in human history. Governments struggle with the pace of technological change. Computers and their offspring (I-pads, I-phones, tablets etc.) have changed the way we act and think. Artificial intelligence and genetic modification stand immanent; about to revolutionise human society and conduct. There is plenty of turmoil from changing weather patterns to growing resentment at the unequal share of the planet’s resources. We are often left incredulous at the corrupt nature of those in power. In this tumult let’s start at home, where we are, in Britain, once called ‘this sceptred isle’ and take a moment to digest some history. When the Romans built their empire they divided the peoples living west of the River Rhine (the Celts in Britain, France and Belgium) from those living east of the Rhine (the Germanic races – Germany, Denmark, Holland). Gradually, of course, with further invasions, Celtic-Romano Britain became what is known as Anglo-Saxon. In 731AD Bede produced the ‘History of the English People’ describing how the Saxons, the Angles and Jutes and the Germanics conquered Britain in wave after wave. Thus the Celts were pushed back to the western fringes. 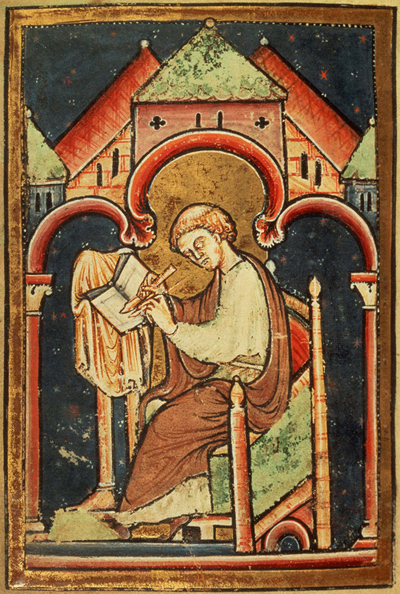 Of course, Bede had his own agenda – to forge a kind of national identity, and the historical reality was probably far more complex than his condensed version written 300 years after the events he was describing. What is certain is that Britain, and particularly England, was forged from diversity. This is highlighted as we go into the later years of the first millennium – Franks, Vikings, Danes and of course Normans in 1066 showed up! Now we come to the thorny problem of British identity. England, Scotland and Northern Ireland are represented in the Union flag, but not Wales (theoretically because it is only a principality). The British flag is made up of the overlapping Christian crosses associated with the early saints George, Andrew and Patrick – David is excluded. The ‘United Kingdom’ is made up of four countries, not three, and there is also the ‘problem’ of a divided Ireland. It’s messy. Add to this the multi-cultural influence that really got underway in 1948 when the ‘Windrush’ brought the first West Indians to Britain and has continued apace since then proving uncomfortable for some communities but stimulating and vital for many as we strive for multi ethnic harmony and integration. In this lies the possibility of a true rainbow nation. Blake would have had no truck with the co-option of his work for jingo-ism, nationalism or socialist propaganda. For him ‘spiritual liberty’ was what is important. 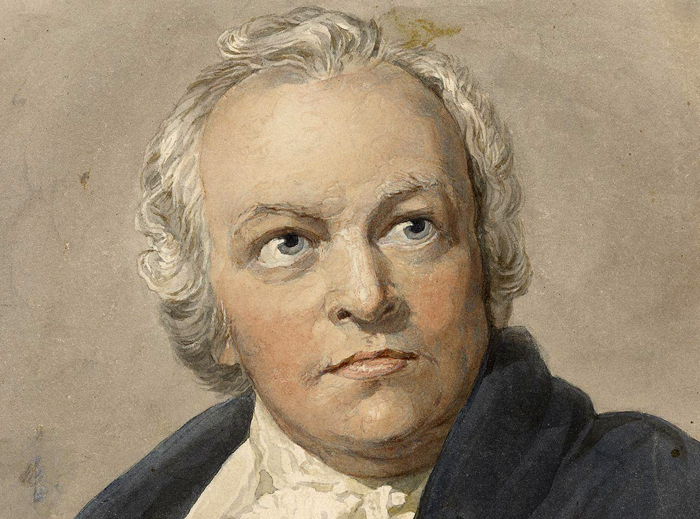 This liberty dwells in spiritual dignity and as Churton points out this dignity ‘lies in the realisation that Man is a spiritual being, a spiritual being of infinite, not rationally predictable, potential.’ Blake believed that Britain’s primary goal should be to rediscover its magical spiritual self; to restore itself. The broken being, Albion, the spiritual idea of the British Isles, should be nurtured back to health. Western esoteric teachings of the type/kind you will find on this site provide some of the keys for this return to health. 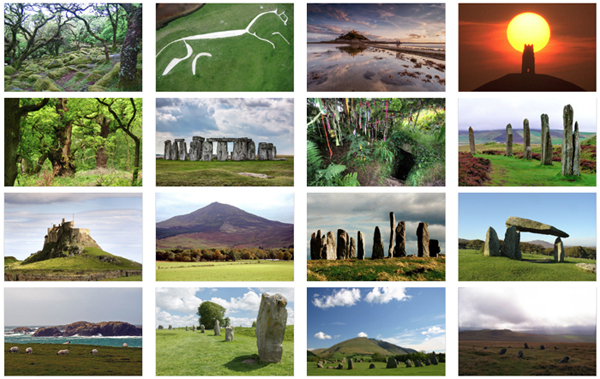 From the Orkneys in the far north to St. Michael’s Mount in the Cornish south, from the Skelligs in the Irish west to Lindisfarne in the Northumbrian east you will find the wonders of these isles silently intact – the holy places of this land. 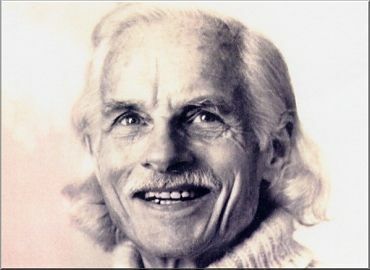 Once you embark on this voyage of discovery – to re-kindle and heal the spirit of place felt in Albion – you will find your own place with which you resonate – it may be a leafy glade in the forest or an ancient well or the summit of a hill or in the corner of a cathedral. 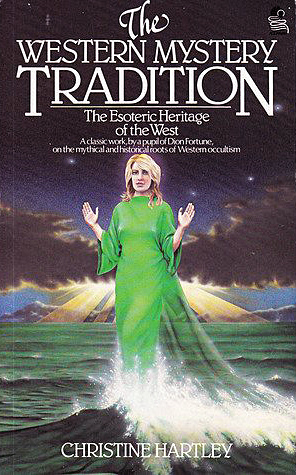 In her chapter she goes on to write about the many other holy places in Britain – the Great Orme Head, the Isle of Anglesey, the Islands of the Blessed in the west of Ireland, Iona, Lindisfarne and how Glastonbury as ‘the holiest erthe in England’ is contained within the old and the new mysteries. With Iona, Hartley quotes Fiona Macleod ‘to tell the story of Iona is to go back to God and to end in God,’ and by recognising that at one time the whole Island of Britain was called Insula Pomorum, or Isle of Apples, she showed the set-apartness of this land.